After a brief illness, on March 22, 2016, Joyce Ellen Vanderburg Commons peacefully left this world, joining her Jesus and many other loved ones in heaven. Joyce was born in San Diego, California, to Neil and Edith Vanderburg on August 1, 1946, the first of their six children. The family moved to Corvallis in 1955, settling on a small farm along the Willamette River, south of Corvallis. There Joyce attended Judd Smith School, a one-room schoolhouse, until its closure. 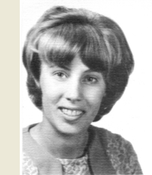 She then attended Inavale School, Western View Junior High and Corvallis High School, graduating in 1965. 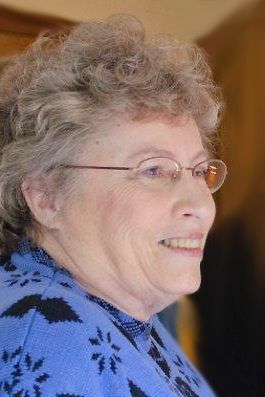 After high school, Joyce attended Multnomah School of the Bible for one year. Sometime later, a college friend, from Halsey, came to visit her at Corvallis First Baptist Church, bringing along her handsome brother, Thomas Commons. It was good to see her friend, but Tom and Joyce had eyes only for one another. They were married on June 28, 1969, and settled in the Scio area. In 1973 they joyfully adopted their daughter, Laurilee Ann. Joyce spent her life enjoying and supporting those whom she loved. And she had arms open wide, accepting many people into that circle of loved ones. She was a meticulous bookkeeper for her husband’s businesses and a tender caregiver for her disabled daughter. She and Tom opened their home to several who were in need through the years, letting the love of Jesus pour out through them, into their world. After her husband’s death, Joyce courageously explored new ways to care for others, taking on service positions in her church. This became a great source of joy to her. Despite life circumstances that would have overwhelmed most people, Joyce was unfailingly kind and cheerful. She had faith that God would provide, and he always did. She delighted in reading, needlework, wildflowers, and the warmth and laughter of her family, and we all delighted in her. Joyce was preceded in death by her daughter, Laurilee, in 1986; husband Thomas Commons in 2008; and father Neil Vanderburg in 2014. Those who remain will miss her always: her mother, Edith Vanderburg; sisters Carol Bolster, Mary Stone, Pauline Houck and Dawn Winokur; brother David Vanderburg; and many dear sisters-in law, brothers-in-law, and nieces and nephews. Those who loved Joyce are welcome to join the family in remembering her at a service at 3 p.m. Friday, April 1, at Scio Baptist Church in Scio. Those wishing to make contributions in memory of Joyce’s life may direct them to the Deaconess Fund of Scio Baptist Church sent in care of Fisher Funeral Home, 306 Washington St. S.W., Albany, OR 97321. Click here to see Joyce's last Profile entry.